A 1950s, fully aerobatic job that still amazes. Belgian, but most popular in the UK. 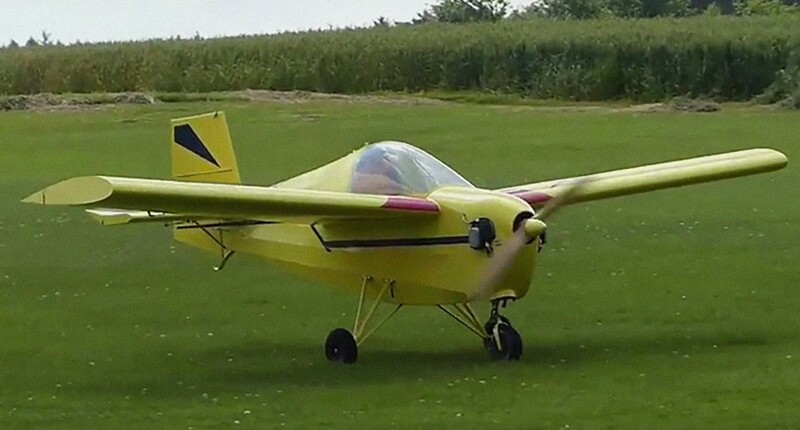 Not a home built, but a full production aircraft. All that capability and it boasts an engine of just 45 hp. Tipsy Nipper T.66. It was developed in 1952 by Ernest Tips of Avions Fairey. It was intended to be inexpensive and easy to fly.